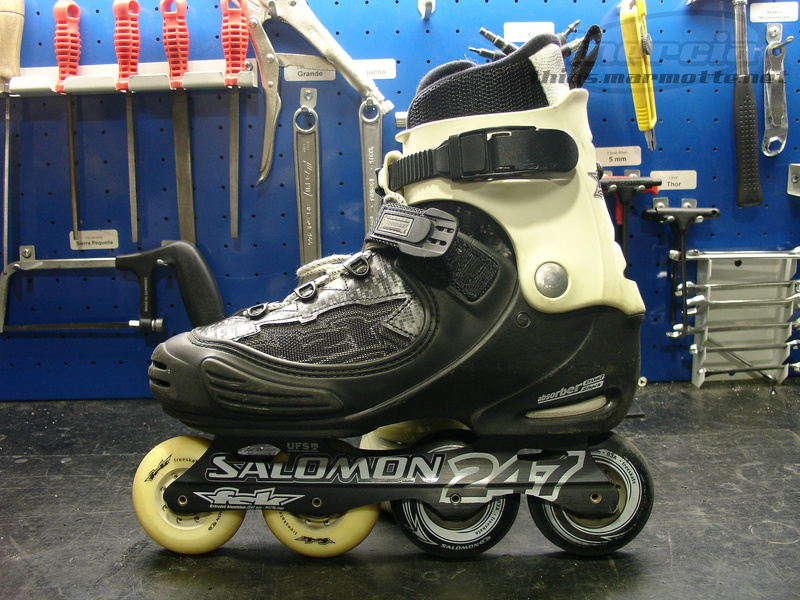 Salomon has stopped producing inline skates in 2006, which is a shame since they had some really good models. 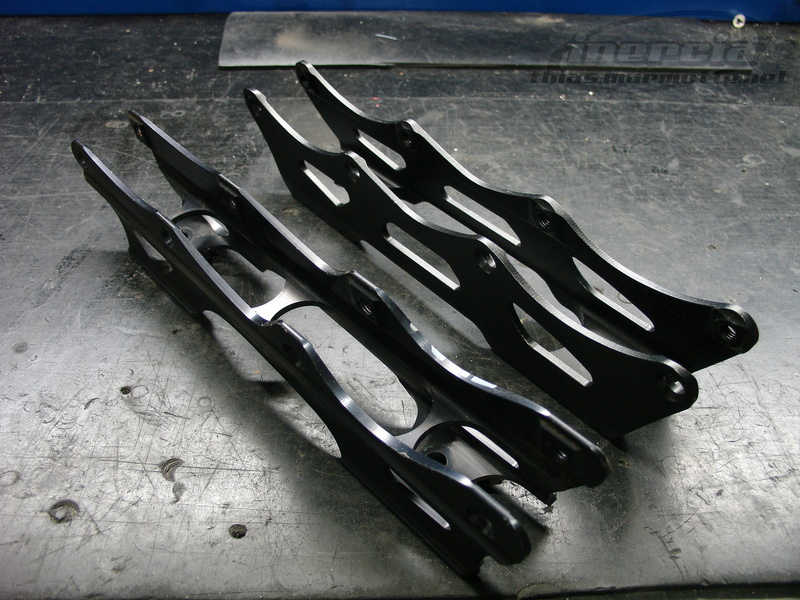 Nothing amazing, but good engineering and good materials. The FSK line was no exception. 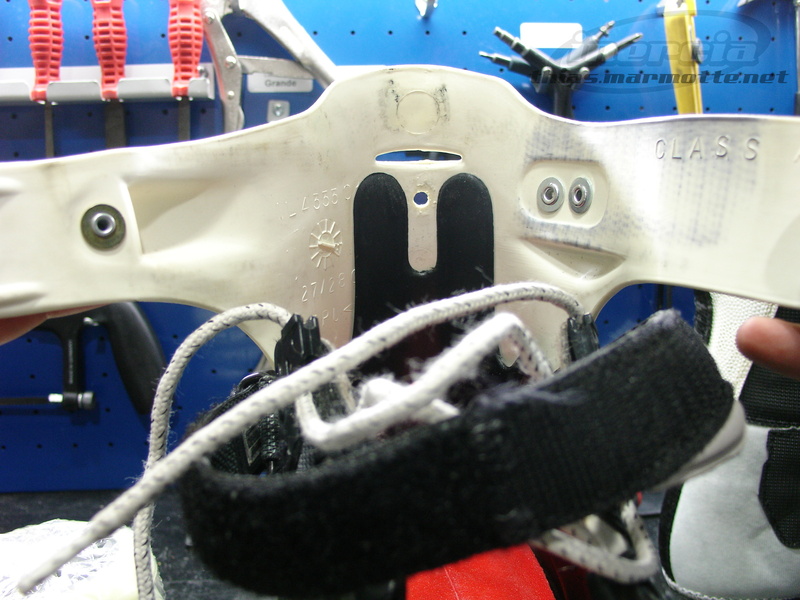 Today, I’ve dismantled a Salomon Deemax 3 skate (also known as Deemax³), which was sold during both the 2004 and 2005 seasons, replaced in 2006 by the orange Crossmax 3VSL. 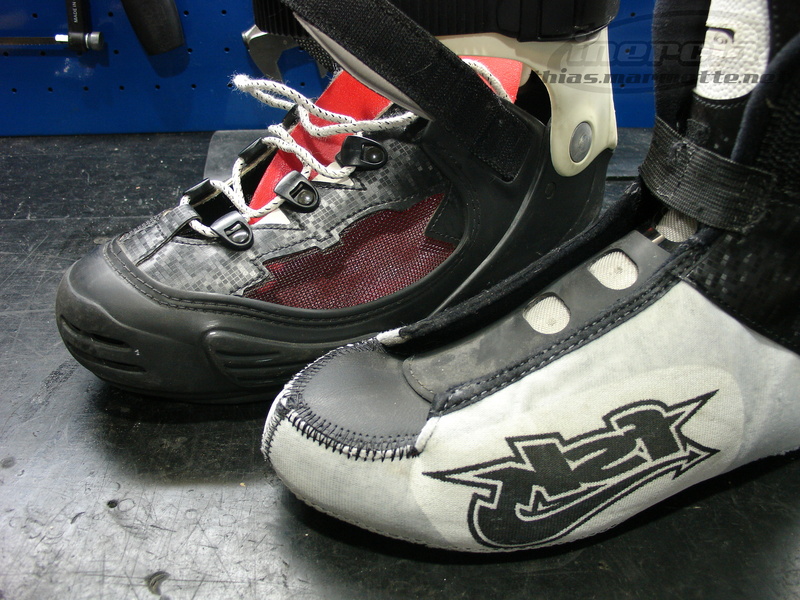 The Deemax is the mid-level skate in the FSK line, just below the Crossmax which is nearly identical but with a heel buckle instead of the strap, a better liner, and a heel reinforcement during its last few years. 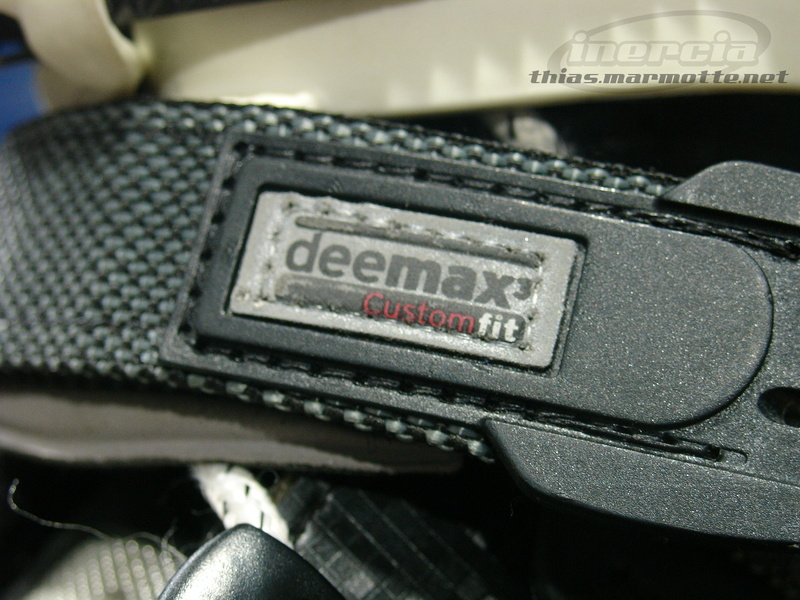 The Deemax were a great choice for freeskate, even though quite pricey at 280€. 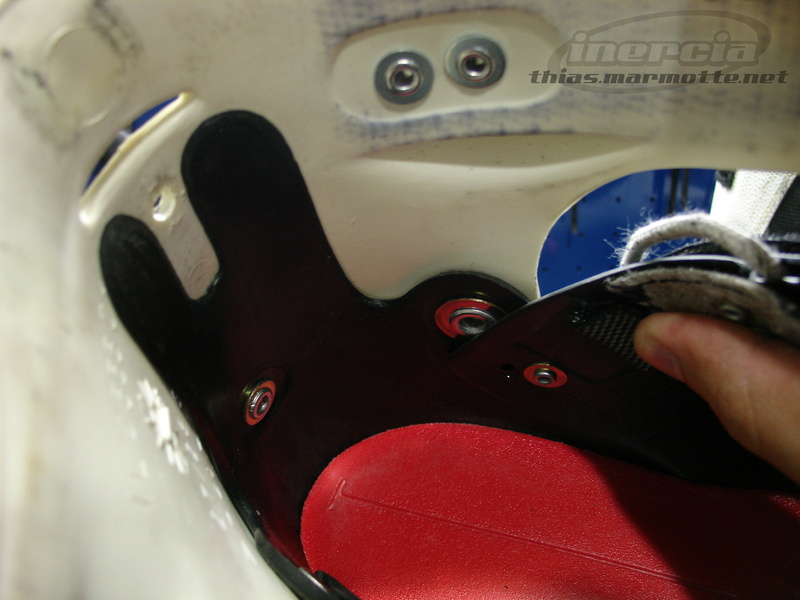 Everything on the skate is riveted : Buckle, strap, cuff, shell, lacing holes… everything except the frame and the liner. 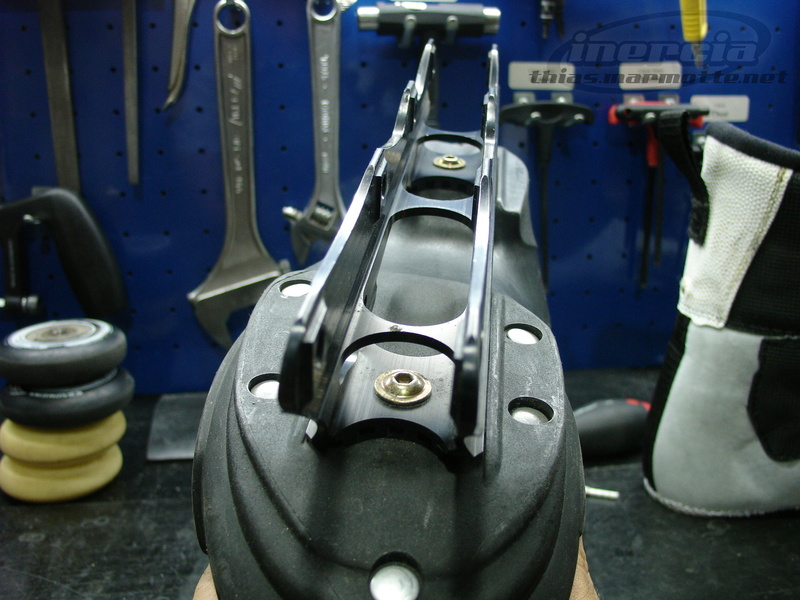 This increases reliability, but isn’t modular and makes replacing broken parts at lot harder than if they were bolted. 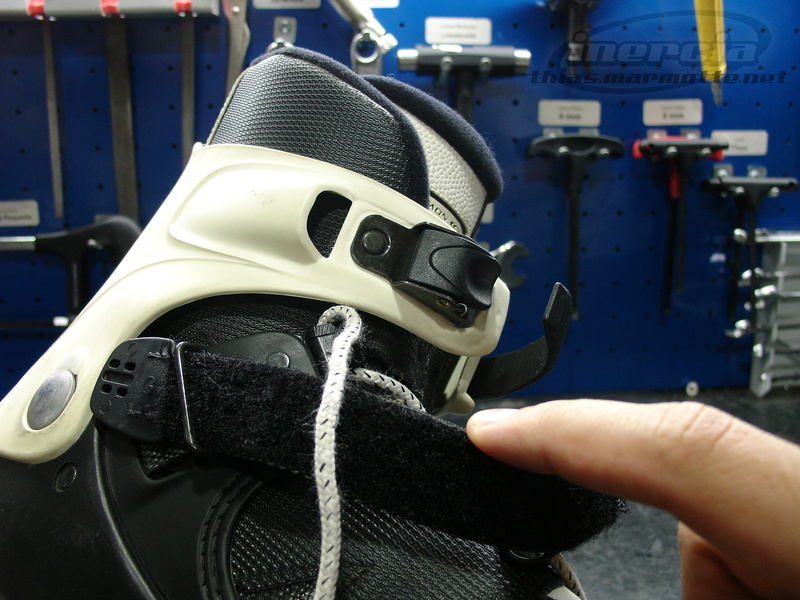 Practical details on the liner : It’s attached to the boot by a small rear screw (with a fragile inner plastic part) to keep it from moving when taking the skates off. 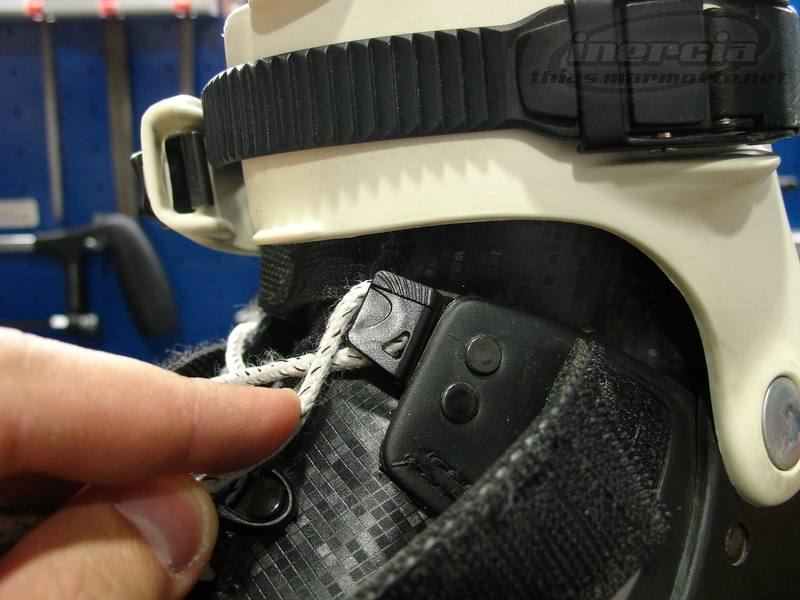 It also has velcro to keep the tongue from moving sideways..
Energizer flex block (that’s how Salomon calls it) : A small plastic part next to the inner cuff bolt which when removed allows for a bit of forward and inner cuff flex. 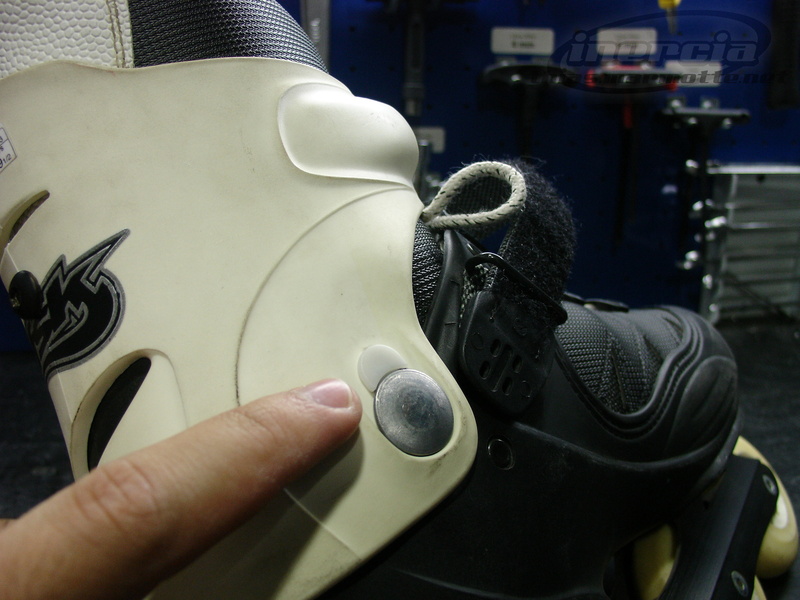 The same system found on the Salomon ST aggressive skates. 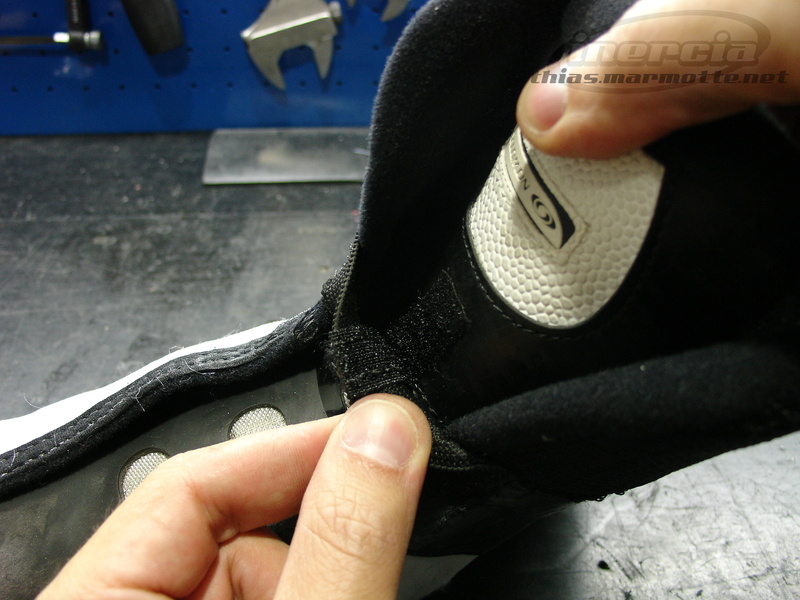 Average heel strap : It tightens firmly but doesn’t age well and can end up torn or worn out where it’s firmly tensed on metal. 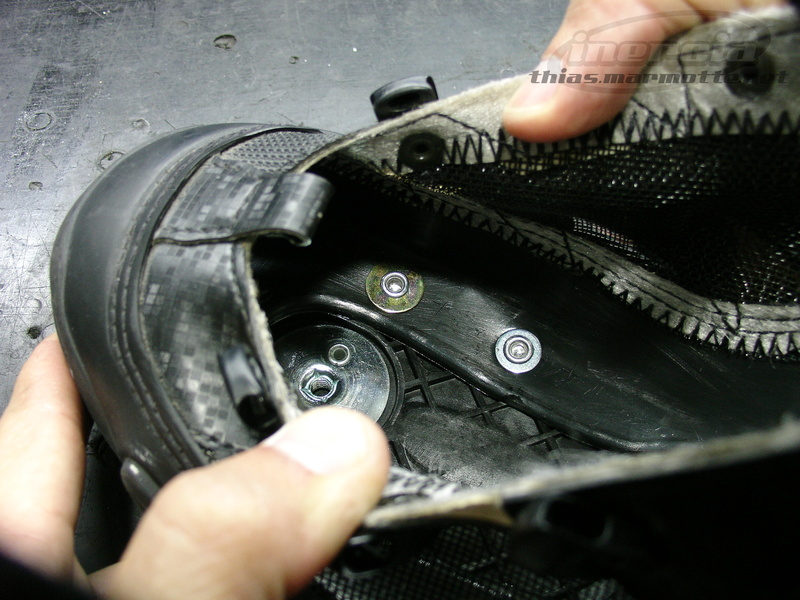 The Crossmax’s buckle doesn’t have this problem. 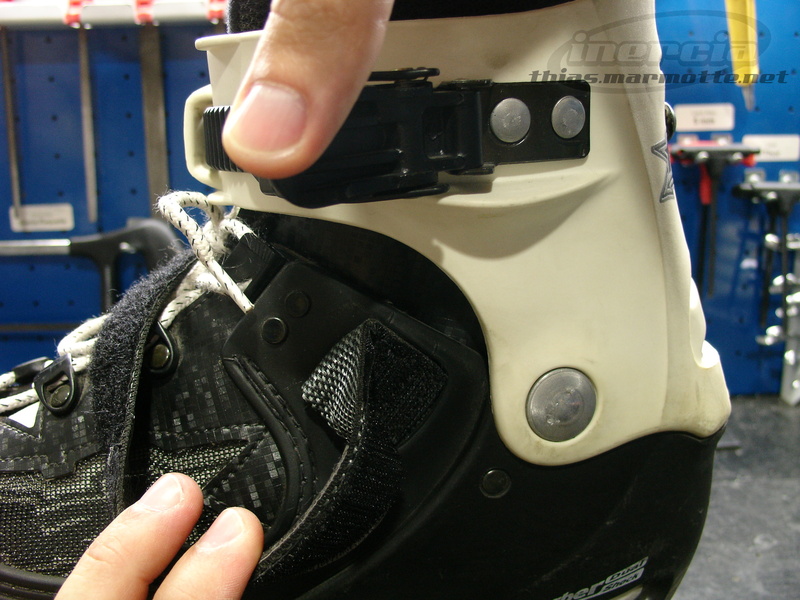 Automatic laces blocking : A common feature on Salomon skates, which is very handy when putting the skates on, especially since the strap is always in the way. 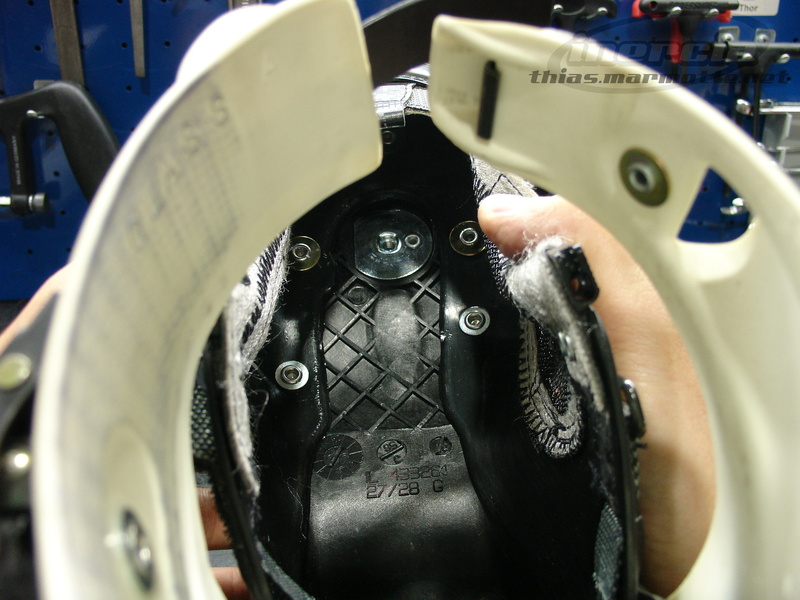 Just pull the laces to block them, move them towards the outside to unblock them. 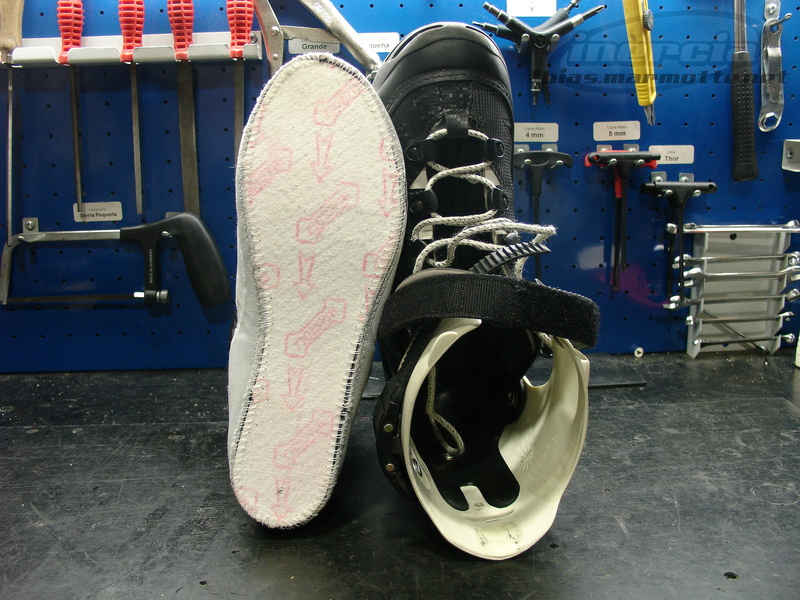 Heel shock absorber and full length sole inside the boot : Inserted below the liner, both designed to fit perfectly inside the boot, without being able to move, providing a flat tilted surface for the liner to rest upon. 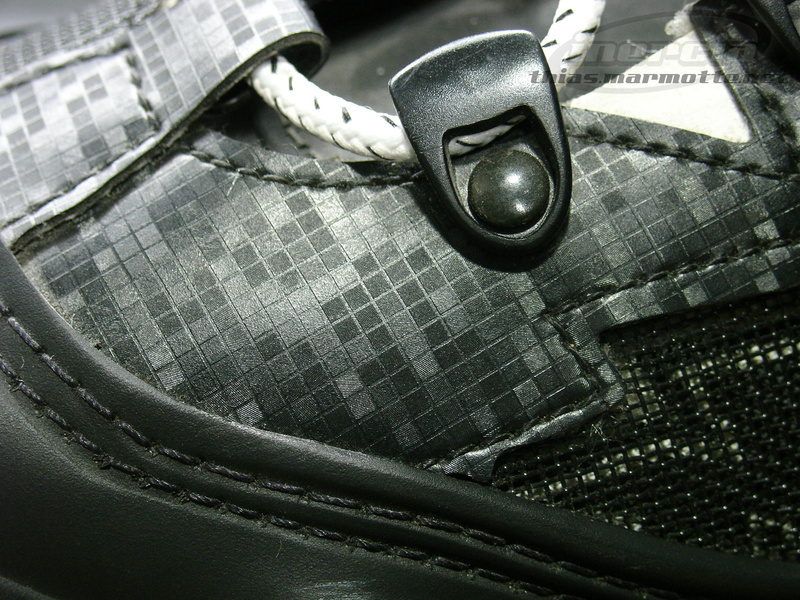 The liner also has one or two inner soles in addition to this. 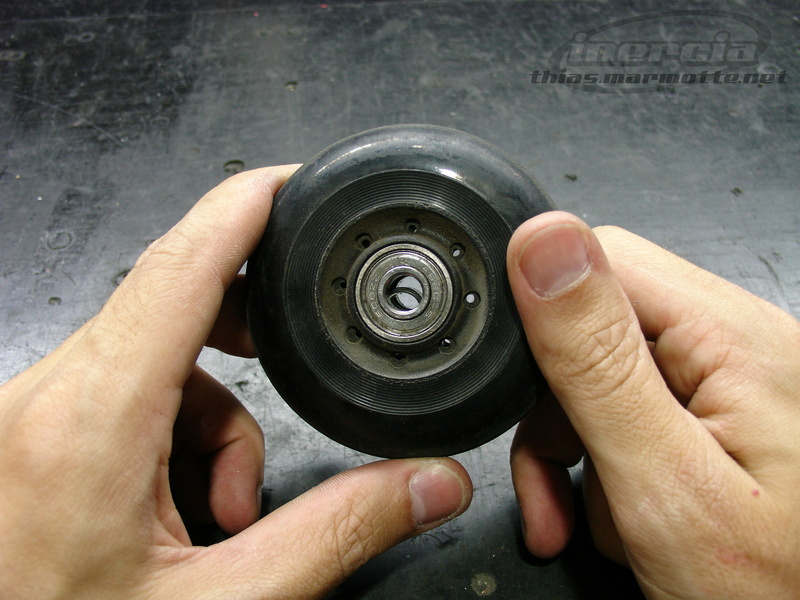 Salomon FSK 83A wheels with Twincam ABEC5 Titalium bearings : In 76/80mm Hi-Lo setup but with cheap and annoying cylindrical 8mm spacers. 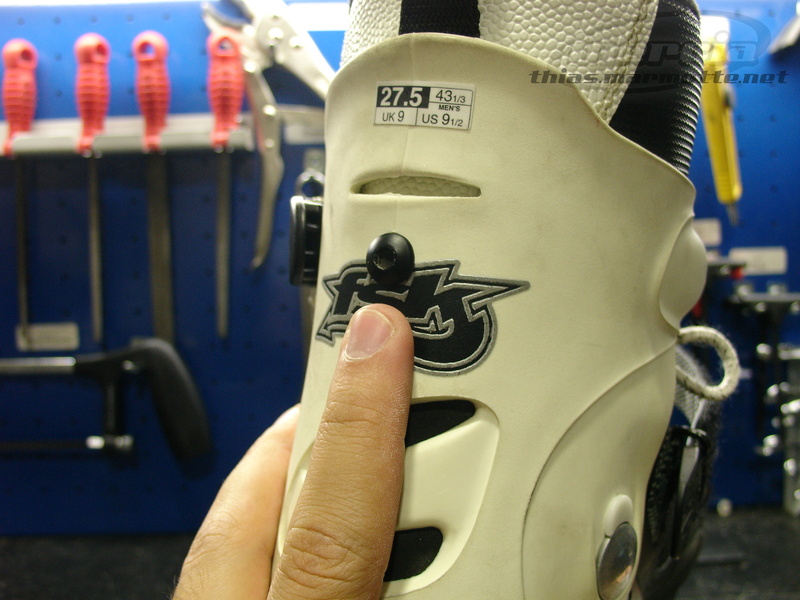 Frame size is either 237mm or 247mm depending on the skate size. 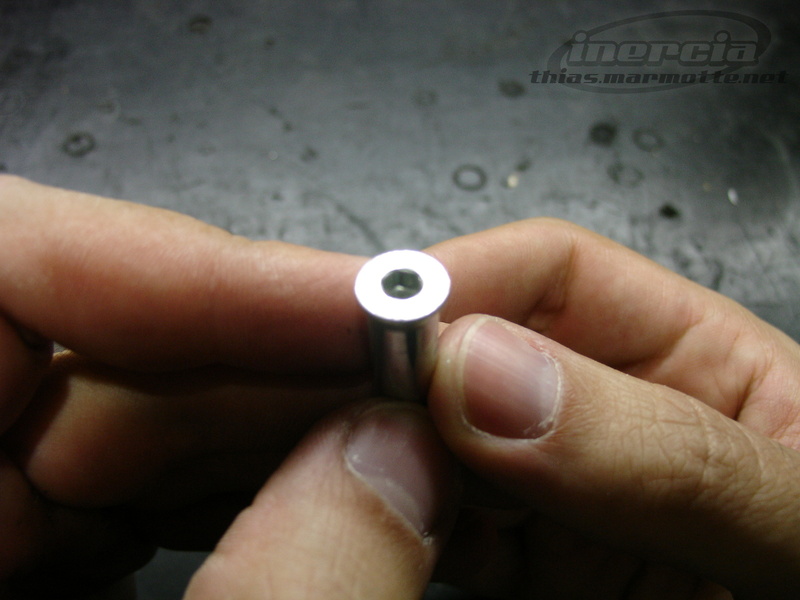 Steel 8mm speed axles : Extra resistant since they are made out of steel, allowing grinds since they do not stick out on either side, but very easy to damage because of the shallow hex key hole. 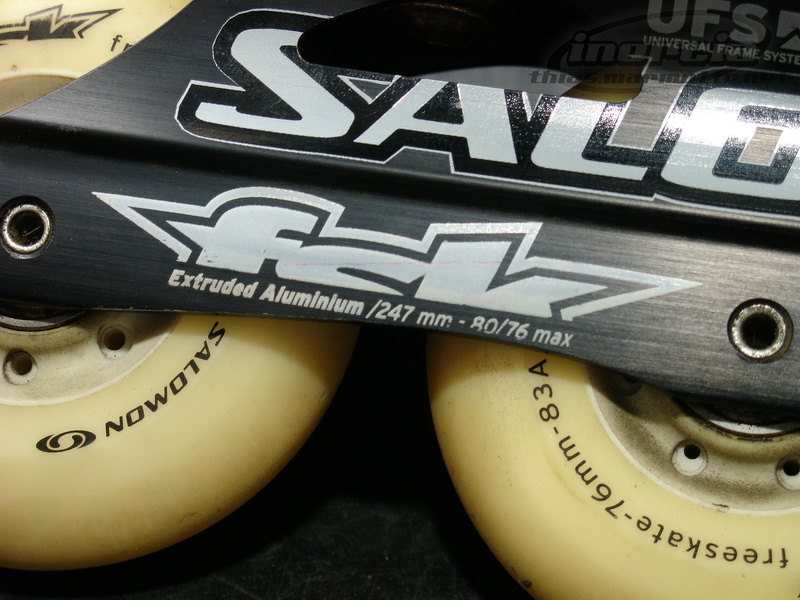 Salomon FSK EA (Extruded Aluminium) UFS (Universal Frame System) frames : Probably the most resistant freeskate UFS frames ever mass produced, with their non-flat walls and three bridges (features missing from the Rollerblade Fusion X5 frames, for instance). 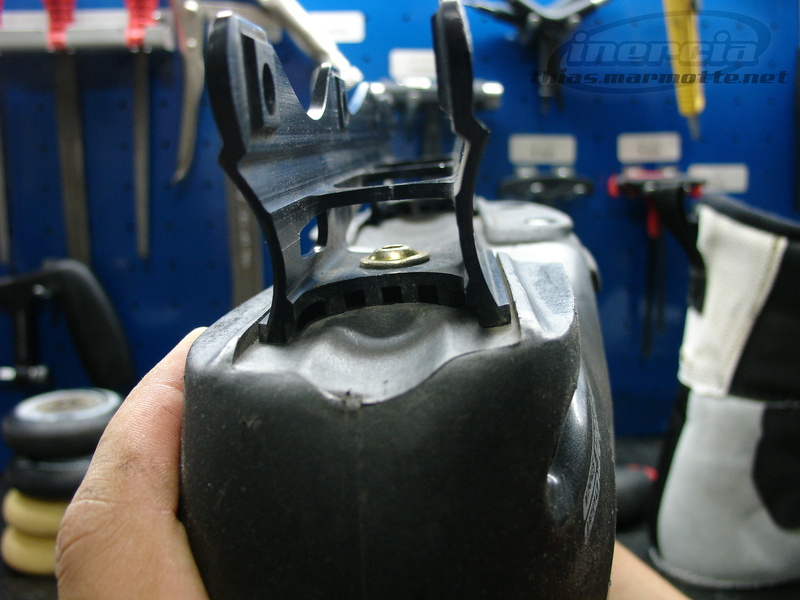 But the downsides of UFS apply, with the inability to position the frames at all. 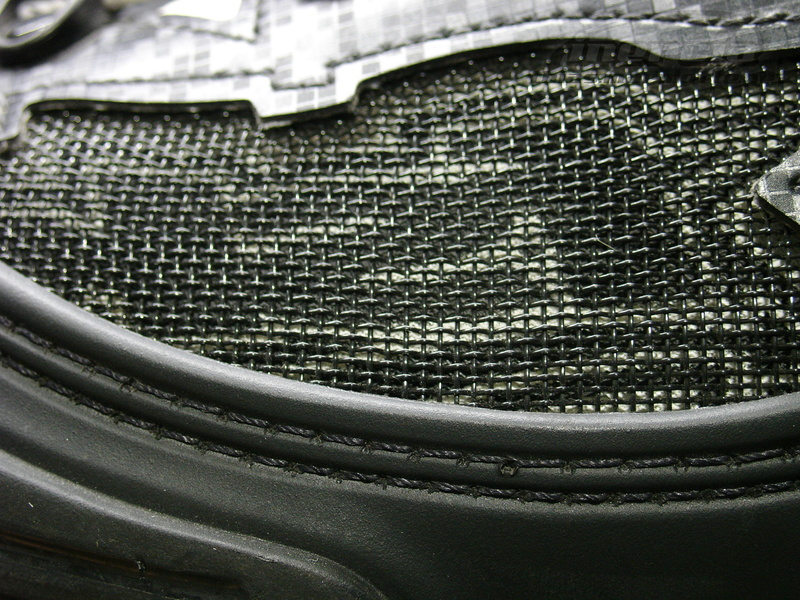 Aesthetics include lots of nice details : Original exterior texture and transparent parts of the boot fitting perfectly with the markings on the liner, among other things. 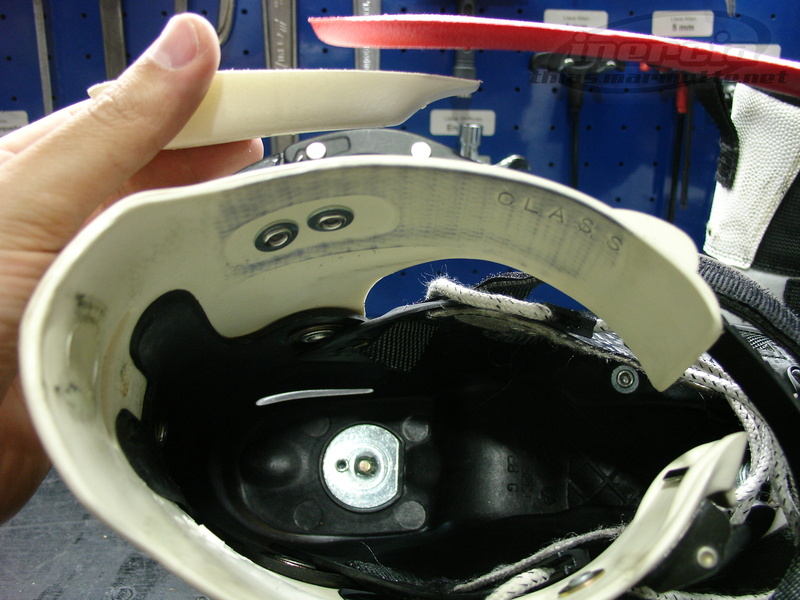 The text on the left liner is inverted on purpose, as it’s entirely symmetrical to the right skate. 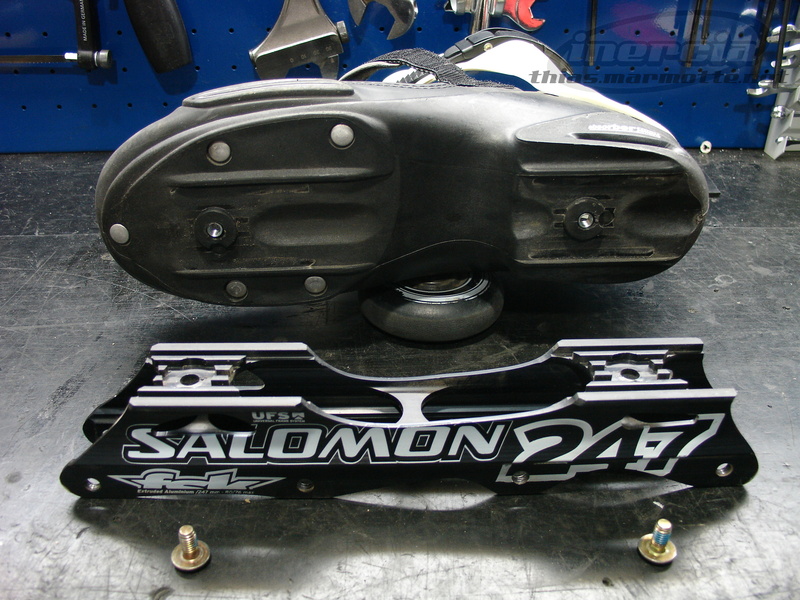 I have some salomons that I purchased back in 2001 and they have been great. 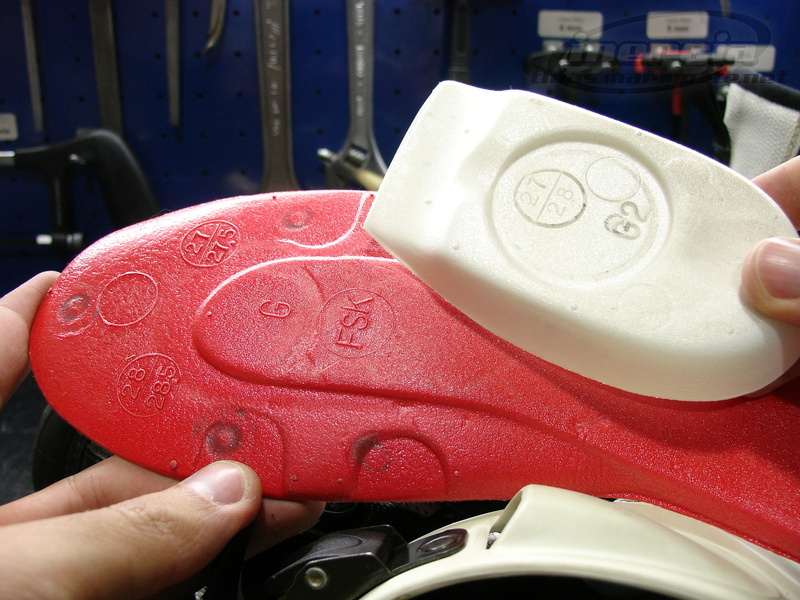 However the buckles broke last night on BOTH boots. I was hoping you had found a way to remove those as well. 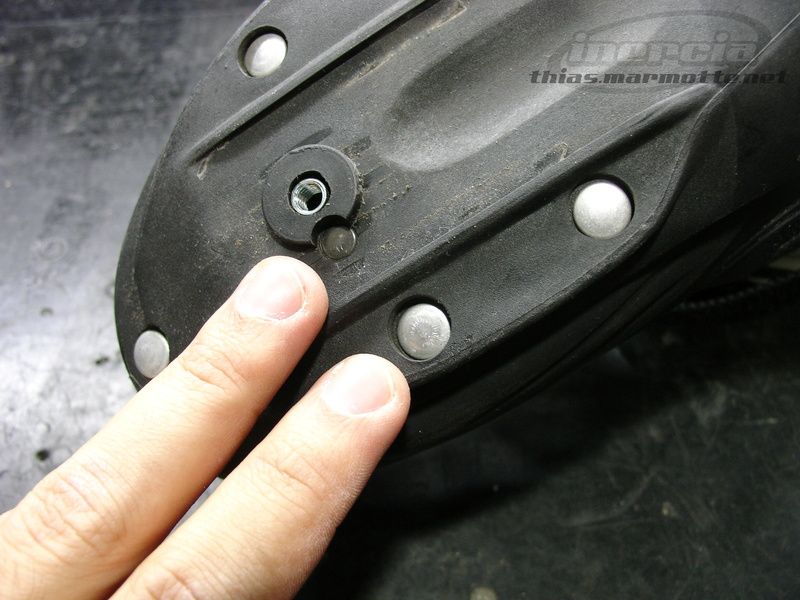 I see where they can be purchased as replacement parts but don’t see how they come off as the pin in mine looks more like a rivet. 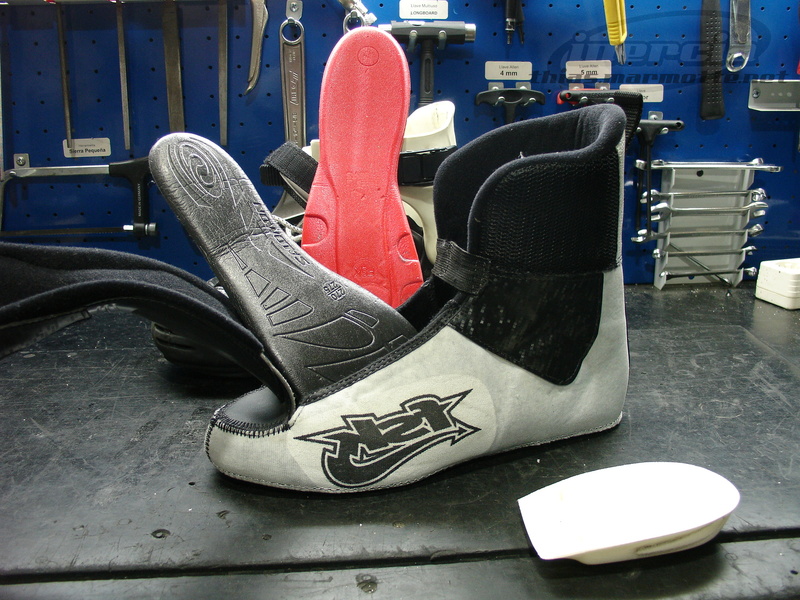 Any thoughts on how I might do a buckle replacement on mine?? Thanks. 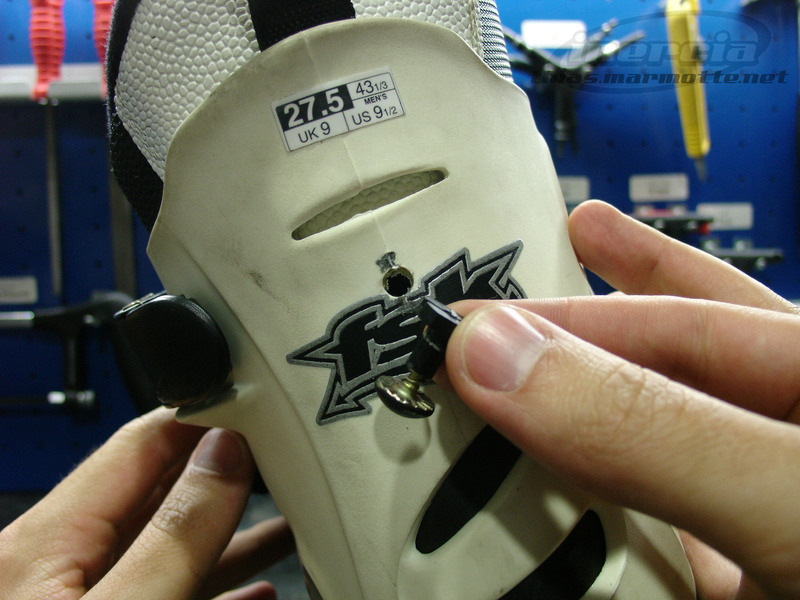 Those heel velcros are far from being eternal on the Deemax… I also had the problem on my very first Deemax 2 skates. 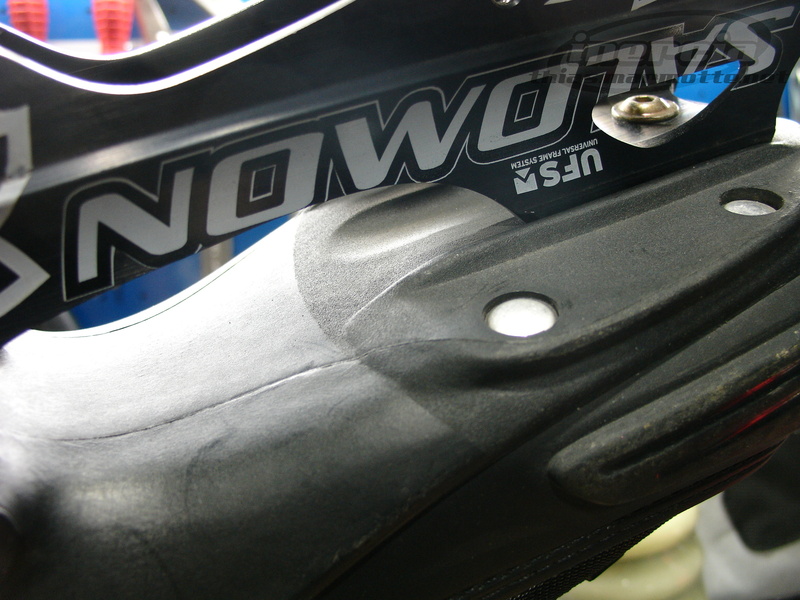 You’ll need to find compatible replacement buckles (it used to be relatively easy to find the Salomon Crossmax spare parts, but not any more), then you’ll need to drill through the rivets carefully in order to be able to remove the straps. That’s the hard part. 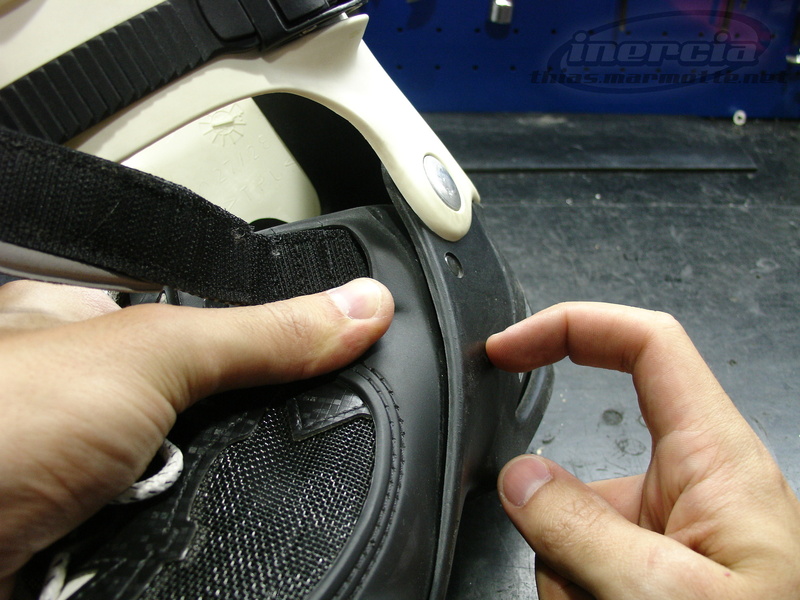 Once it’s done, mounting the new buckles with small screws is quite easy. Good luck!